It seems that Cole can’t make up their mind. Do they support plastic use, are they against it, should they supply bags for free, perhaps for a limited time, or maybe forever, no lets go back to a limited time. Clearly they have no clear environmental policy or strategy, and their indecision on what option to use fluctuates more than a 15 year olds decision on what selfie to post! The backlash to Coles ban on single use plastic bags has left consumers feeling insulted and frustrated. Initially, the concept was to remove single use plastic bags from their supermarkets in the attempt to help the environment. Well, that is what we were lead to believe. But it is quite clear that Coles has used the eco-warrior ruse to jump on a money-making band wagon. From their actions, it appears that Coles has absolutely no regard for our environment, or for the intelligence of their customers. Did they think that we would be fooled? Firstly, according to an analysis by Queensland University of Technology retail expert Dr Gary Mortimer, Coles and Woolworths stand to make roughly $71 million in gross profit by replacing free lightweight plastic bags with the heavier 15c bags. This excludes profits from their more environmentally friendly material bag options which are being sold for $1-$3 per bag! Secondly, banning single use plastic bags only to replace them with heavier plastic bags, still results in the use of plastic bags. The thicker ones may last slightly longer, but they too will break and end up in landfill. And lastly, not even a month after banning the plastic bags, Coles brings out a promotion that involves customers being rewarded with plastic covered, plastic toys for every $30 spent. These ‘Little Shop’ toys clearly show Coles lack of brand alignment when it comes to the environment. 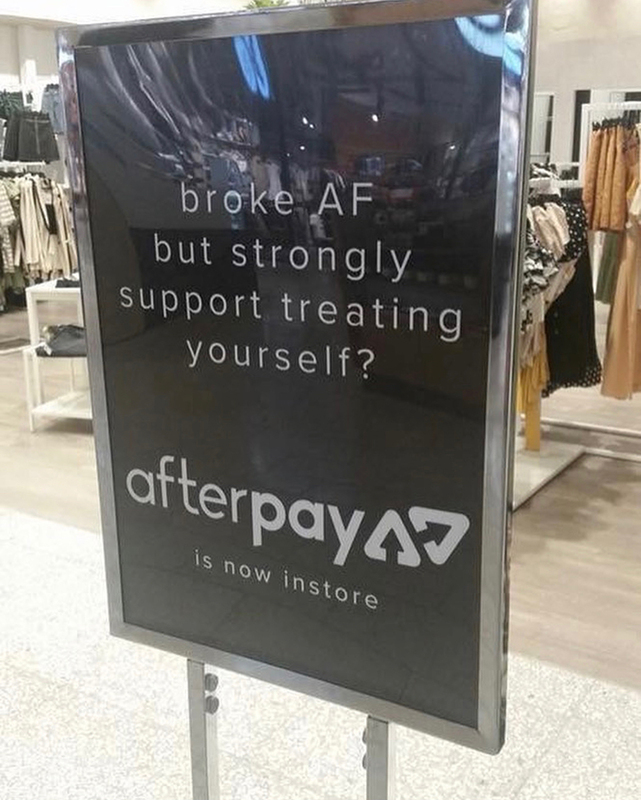 The backlash to all of this behaviour has left consumers with a very bad taste in their mouths, and they have taken to social media to share the views on the topic. A campaign stating ‘COLES just ditched the plastic bag ban! SHARE if you will now ditch COLES’ has gained traction even though Coles has flipped back to a limited time on free 15c bags. Environment Victoria went to social media and shared a range of new thicker plastic bag designs for Coles to distribute which show the damage to wildlife and a beach affected by litter. But it doesn’t end there. 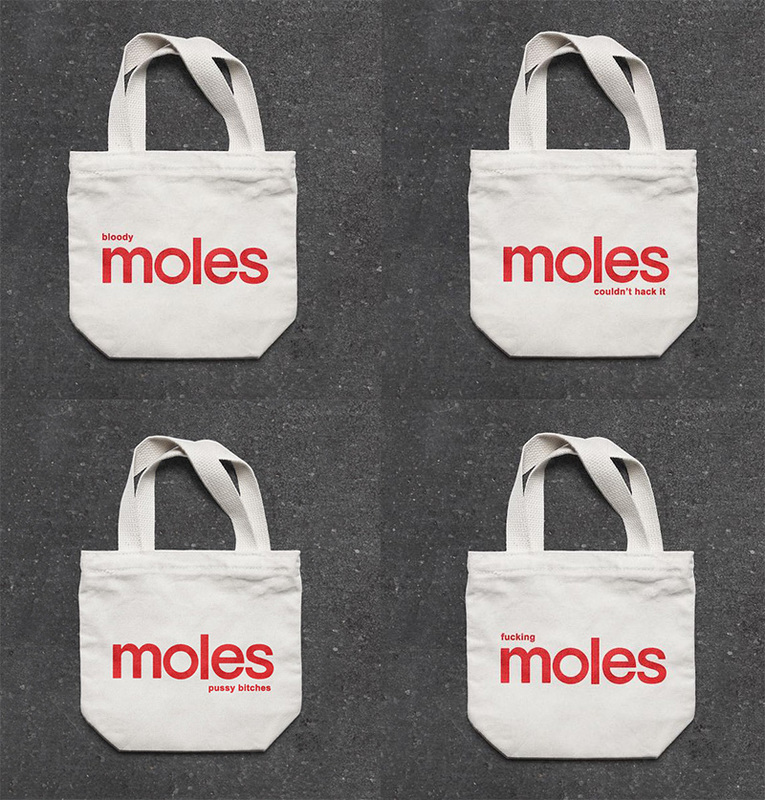 A website called fuckingmoles.com has been launched where you can buy your Coles Moles reusable cloth bag (which will last way longer than a plastic bag). You can now show your distaste for Coles’ plastic bag ban backflip, with a reusable bag that gives the supermarket giant the big ol’ middle finger. The damage to the Coles brand is proving to be far more than they would have anticipated. This move to single use bags reeks of money, deception and lies. The back flipping could rival Olympian gymnasts but the question is, will the Australian consumer support this trumped up, deceptive behaviour. Or will they choose to talk with their feet and head to supermarkets such as Aldi, Woolworths or IGA? If Coles wants to maintain their position as one of the super-super market giants, then they are going to have to take a very close look at their brand alignment and bring some authenticity into the mix. It’s not what you say Coles that matters, it’s what you do. I grew up in apartheid South Africa. Mum, dad, myself and my two sisters and baby brother. We lived in a small bush town nestled on the border of the world famous Kruger National Park. (It’s where most of my family still live to this day). The community is filled with people who know, love and support each other. Yes, it is a small town and everyone knows your business (which as a teenager made me want to escape), but everyone has your back – always.